Talent assessment is the process of identifying and evaluating individuals’ leadership capability. Talent assessment is used for many purposes such as hiring external candidates, accelerating and enhancing internal leaders’ development, identifying high potential individuals for larger roles or promotions and succession planning. Individual Assessments are done with a specific comprised of a comprehensive interview and selected tests to help identify strengths and development needs as well as determine career goals. Individual assessments can also be used in executive coaching. 360° Assessments are conducted through interviews and/or surveying a leader’s direct reports, peers and superiors. 360 assessments and are used almost exclusively to identify strengths and development needs of a particular leader and design a plan to increase the leader’s effectiveness. 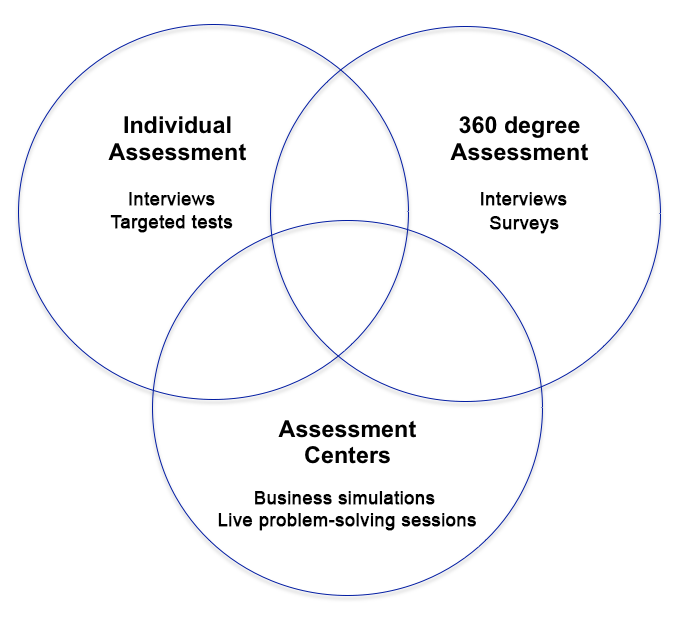 Assessment Centers consist of day-long group leadership assessments and include business simulations, live problem solving exercises, interviews, etc. They are used primarily to ensure a “real world” look at leaders’ behavior under business-relevant conditions. Willow Path consultants have worked extensively in and with corporate universities and developed comprehensive leadership curricula. We partner with you to structure the best corporate leadership development center to grow your leaders in service of your key business initiatives. Articulating your center – what are the driving forces for creating your center? At Willow Path consulting we focus on your needs through customized, flexibly designed experiences or skills workshops designed to address your specific leadership development needs. We use with highly interactive, practical learning and self-reflection methods to align the design with your organization’s vision, strategy and organization’s vision, strategy, and culture.